Later today Cyclops Print Works will release a brand new limited edition screen print in their fantastic Walt Disney Feature Animation Short Films Collection Series – Paperman by artist Jisoo Kim! The 2012 black and white short film was directed by John Kahrs and actually won the Academy Award for Best Animated Short Film at the 85th Academy Awards. 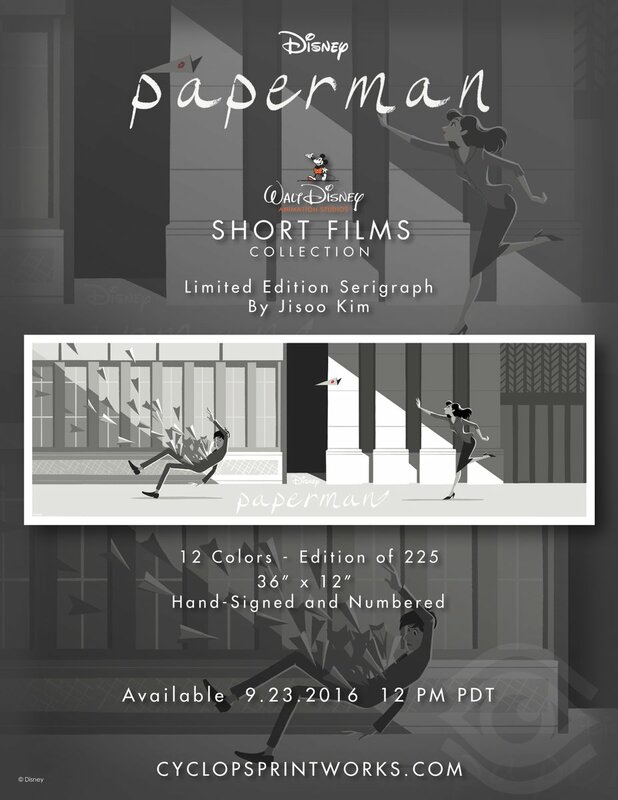 Paperman by Jisoo Kim is a 36”x12” signed and numbered 12 color screen print. Limited to just 225 pieces, this Disney print will go on sale at 12pm PDT today, Friday, September 23rd, at the Cyclops Print Works online store for $65.